This error -1 is a common issue when you try to restore or upgrade your iPhone using iTunes. None of iTunes errors is easy to get rid of, error -1 is no exception. iTunes error -1 not only happens on old iPhones, but also on new iPhone X, 8 and 8 Plus. 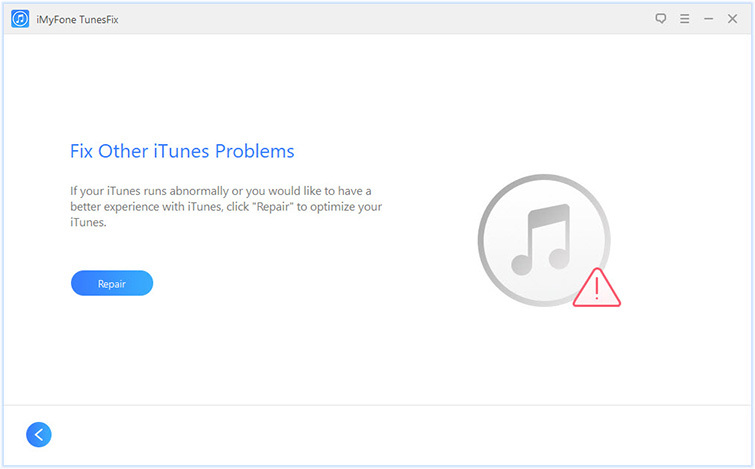 iTunes shows you unknown error, that means the Apple also has no idea why this error happens. It’s ridiculous, but that’s the truth. However, the good news is that the solution for error -1 is readily available. We’ve shared these solutions in the following parts of this article. The solutions we discuss here is available for All iPhones, iPads and iPod touch. Part 2: Common Ways to Repair "iPhone X/8/8 Plus Error -1 during Restore"
The best way to fix “iTunes Error 1” is by adopting an advanced iTunes repairer tool known as iMyFone TunesFix. This computer-based software is the ultimate solution to repair all known and unknown iTunes errors and issues. Therefore, if you have no idea on how to fix iTunes error 1, you don’t need to bear the with it anymore. Use TunesFix to get through any annoying iTunes or PC errors without any hassles. 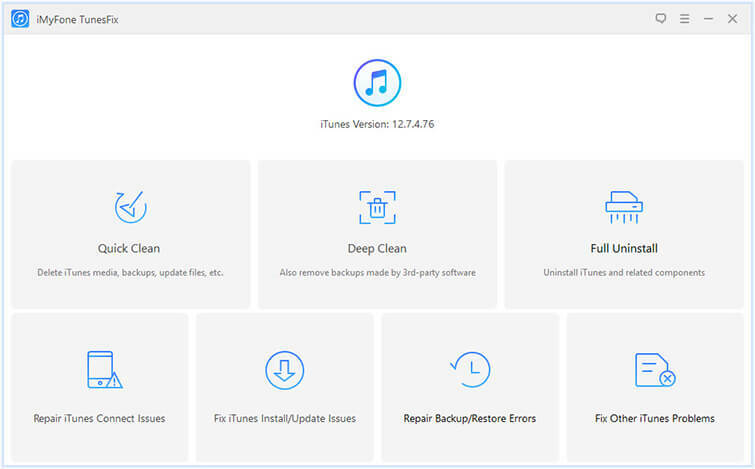 Repair all iTunes known and unknown errors such as iTunes error 1.
iTunes data is well-protected by TunesFix when repairing. Bring all your iTunes cleaning in one place: Quick Clean or Deep Clean. Guarantee better performance for iTunes and PC. Completely uninstall iTunes and its components from the previous installation, leaving no harmful traces. iMyFone TunesFix iTunes Repair Tool has been tested and received positive reviews from professional review sites, like ioshacker.com, WindowsInstructed, megebyte, etc. Common Ways to Repair "iPhone X/8/8 Plus Error -1 during Restore"
The following will fix “error 1” when restoring or backing up an iPhone on iTunes. 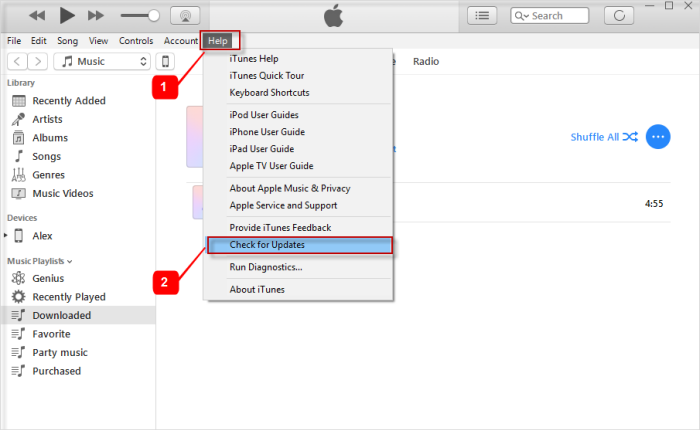 Launch your iTunes and click “Help > Check for Updates” (Or click “iTunes > Check for Updates” if you’re using Mac). “iPhone error (-1) during restore” may be stemming from Windows 10/8/7 Firewall. 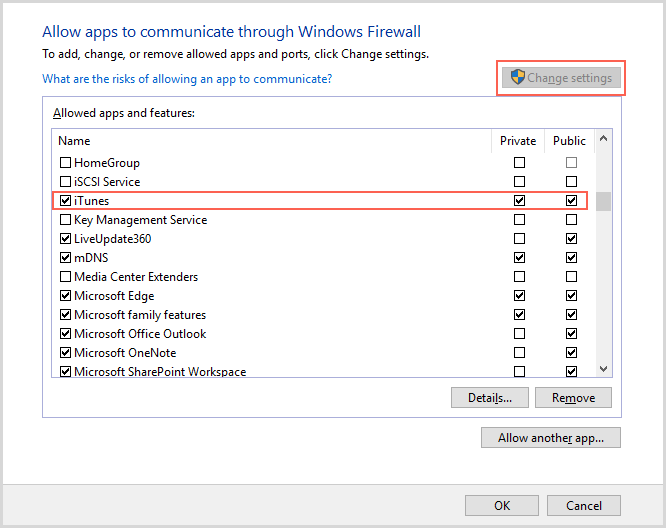 If Windows Firewall is blocking iTunes from restoring or functioning in Windows, then you’ll need to enable iTunes in Windows Firewall. 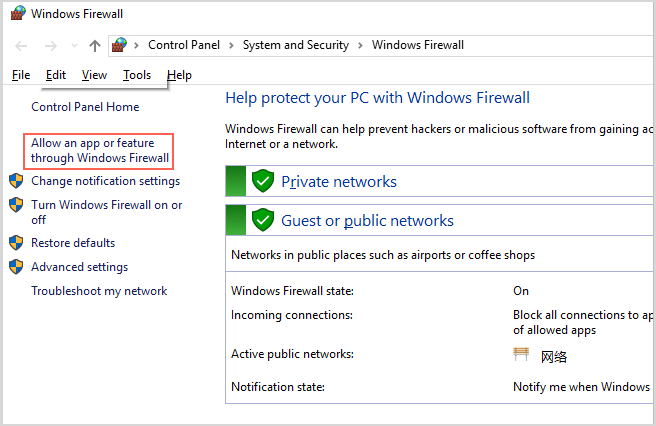 Click “System and Security > Windows Firewall > Allow an app or feature through Windows Firewall”. Click “Change Setting” and check to find iTunes. If iTunes is not in the list, click “Allow another app” to browse and add iTunes to the listed items. Select “Public” to allow iTunes communicate through the firewall. If you’re bored with iTunes, iMyFone Umate Pro is the best option. It’s the ultimate tool for restoring iPhone in order to protect your privacy. 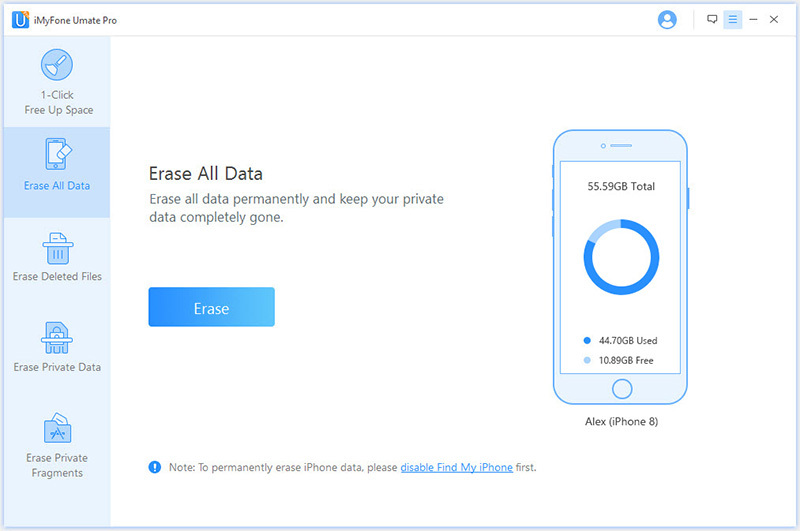 This tool can erase iOS data and files to 0% chances of recovery, wipe third-party apps and app fragments, and securely erase these files so that your data will be permanently deleted. Therefore, if you are giving up hope in restoring your iPhone on iTunes, there is a chance for you to restore your iPhone to factory settings using iMyFone Umate Pro. This software is fully compatible with iOS 11.3, iPhone X, 8/8 Plus. Offers you high standard privacy security and 0% data recovery rate. You can restore the whole iPhone or some data from it. You can view which previously deleted files still remain and choose to wipe them completely. The leading iPhone data eraser that also wipes 3rd-party apps: WhatsApp, WeChat, Kik, Snapchat, Facebook and 10+ more. Remove all junk and redundant files on your iPhone to save space and speed up your iPhone. Step 1: Download, install and run iMyFone Umate Pro on your PC. Connect your iPhone to your PC using Apple mobile device lightning cable (USB cable). Step 2: When your iPhone has connected successfully, click Erase All Data from the left-side bar. Click Erase from the right panel. Step 3: Type “delete” into the box to confirm, and then choose your security level. Click Erase Now tab to completely erase your iPhone and restore it to factory settings. iMyFone Umate Pro is also recommended by authoritative software review websites, like getintopc.com, MacWorld, APPKED, etc. So you don’t need to worry about “does it work” or “is it safe”. Download and try it.